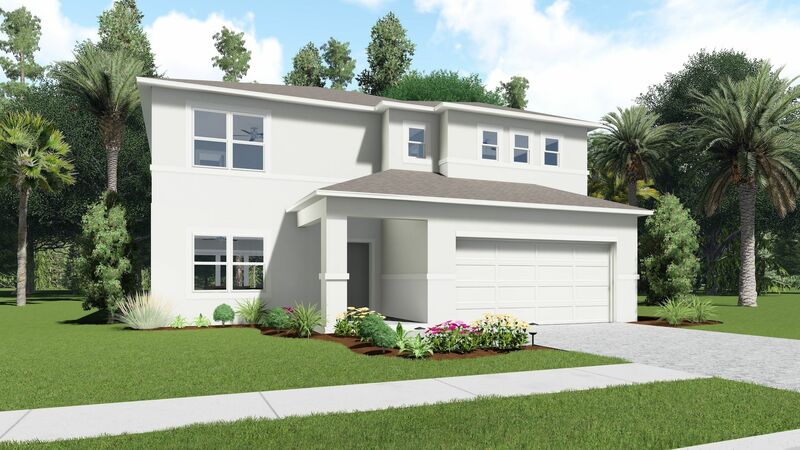 Set in the rolling hills of Groveland, FL, on the peripheries of Orlando, Eagle Pointe offers new homes in Lake County convenient to shopping, dining and recreation options. The community’s location gives residents easy access to FL-50, Clermont and the attractions of Orlando. Homes here are priced for ultimate value.Wide Selection of New Homes in Groveland, FL Choose between a variety of floor plans and exterior designs for your new home in Eagle Pointe. The one- and two-story homes from the new Premium Series are available in Classic, Coastal and Craftsman architectural styles. Some plans include options for up to 7 bedrooms.1,687 to 2,802 Sq. Ft.3 to 4 Beds2 to 3 Baths0 to 1 Half Bath1 to 2 Story Homes2 Car GarageNearby Shopping, Dining and Entertainment Venue From practical to fun, options for shopping, dining and entertainment are easily accessed. Just south of Eagle Pointe you’ll find Eagle Ridge Shoppes, featuring a Publix Groceries and Pharmacy. A variety of specialty grocery stores can be reached via FL-50, including a Winn-Dixie, Lucky’s, Aldi and Walmart Superstore. Restaurants of all kinds including fast food, barbeque and ethnic food line the highway as well. Epic Theatres are down the road in Clermont.Plenty of Recreational Attractions Near Eagle Pointe Of the many golf courses to tee up at, Green Valley Country Club is the nearest, located just 2.4 miles from Eagle Pointe.